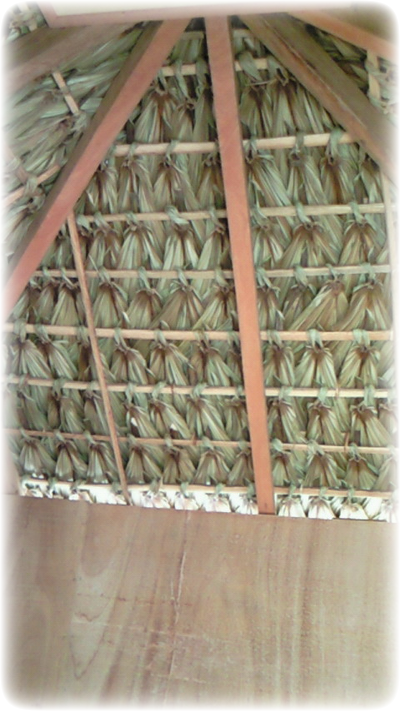 Anahaw Roof assembled anahaw leaves with traditional workmanship has good function of insulation, enjoyable natural cool condition under the anahaw roof in hot weather outside. 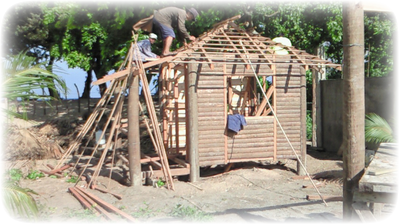 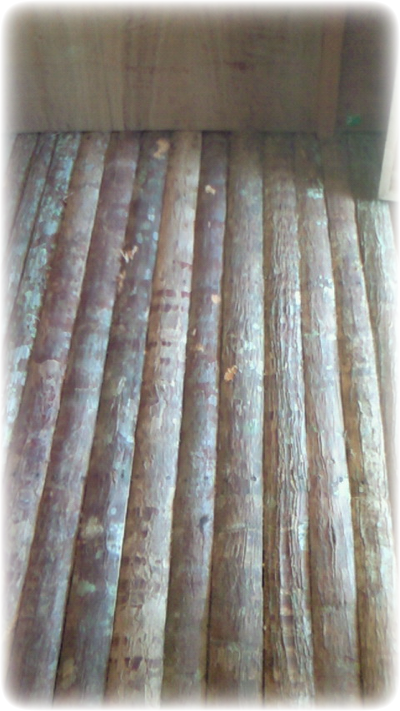 Raised floor of Anahaw lumbers have a small space each other and permit to pass fresh cool air into the Kubo. 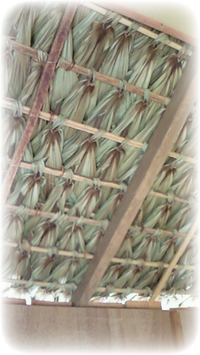 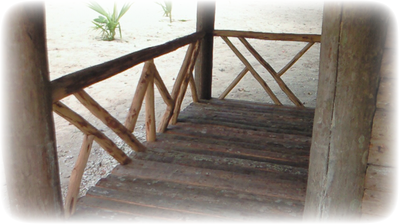 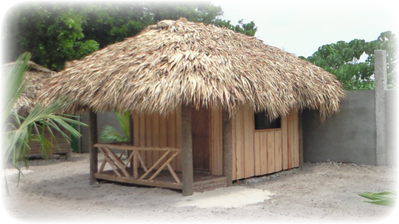 Kubo is made by Anahaw lumber, Coco lumbers and Anahaw leaves. 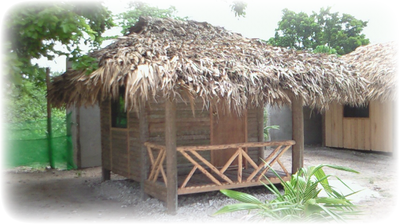 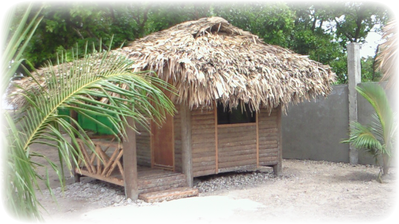 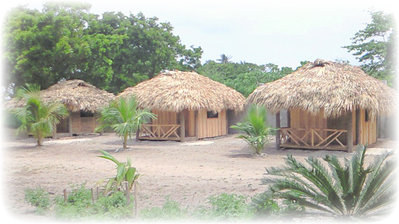 Kubo is less than 1 minute walk distance to the beach through the yard of our resort only. 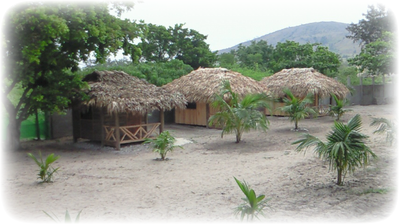 Note: If the room rate described this page has discrepancy between the current rate of the top page or promotion page, the current rate of the top page or promotion page shall be applicable.